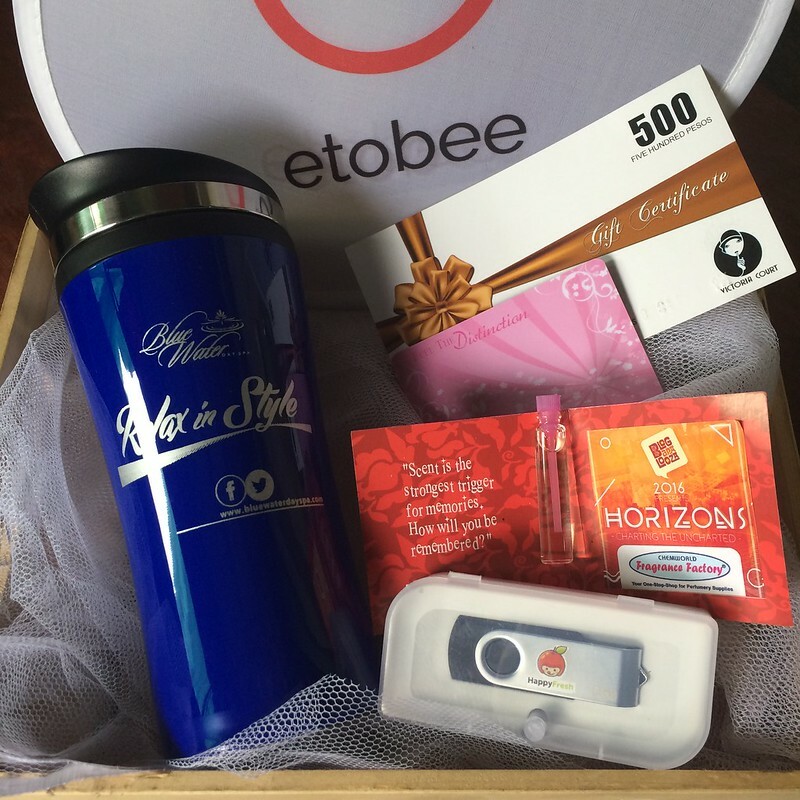 Event| Blogapalooza Horizons: Mamanee's Nest Attends for the 4th time! Totally fresh from yesterday, it's my 4th time to attend Blogapalooza and every time it's a different experience (you can read about my 2013, 2014 & 2015 experience by clicking here). I was happy to attend yesterday. Now, surprisingly Blogapalooza came early this year when it is usually held towards the end of each year. Not sure what they have up their sleeve, but they did say that Blogapalooza might have a part 2 within 2016. So why am I sharing this with you? Well, I'm thinking you may become a blogger in the near future or you might want to know why Bloggers get excited to attend Blogapalooza every year. This year it was held at Elements in Centris Quezon City, I liked the idea that it was very accessible with just an MRT ride to Quezon Avenue Station or a Bus from EDSA, it wasn't hard to find and with a little asking of directions, I reached the venue in one piece. Registration was a breeze especially since I pre-registered for the event, after which I was handed an eco bag with a bag of Chippy Twisters, Blogapalooza Candy the traditional ID and now a wrist tag. Don't you love that Orange theme? From the entrance alone there were booths lined up, and I made a quick scan of what was in store. The stage area was larger, there were more chairs and the booths were aligned so you can clearly see where you needed to go. I was particularly drawn to the Arla Philippines set up which looked so Instagram friendly. It totally gives a plus factor since you can definitely share it on your timeline. They also gave out a sample of their cheese spread (plus points) another reason to share it on your social media accounts post event. 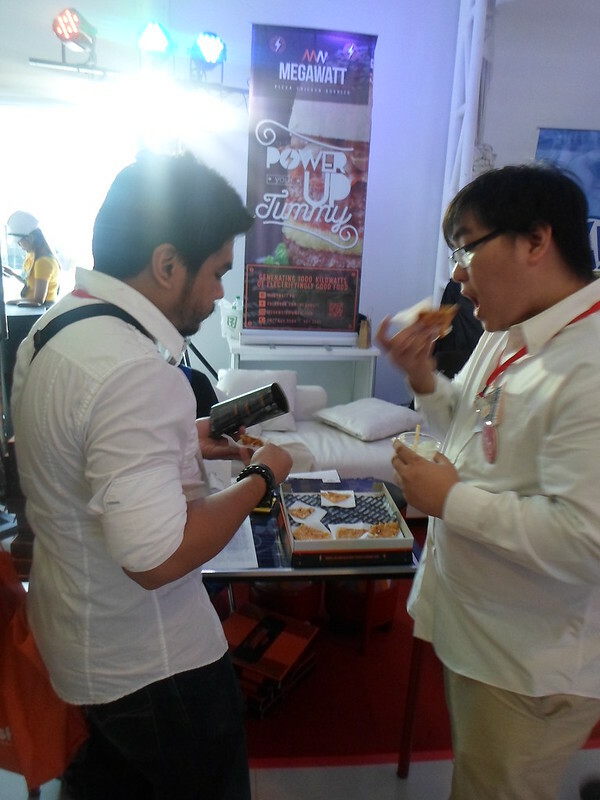 The next booth I lined up for was the Cocio Philippines Flat lay challenge. Their registration was pretty easy and you had 3 minutes to set up a flat lay with their product which was a yummy choco milk drink. I like how engaged their PR was ready to answer your questions about their product so I did get to learn about their product and why it was a good pick for the people who love chocolate milk. I was so happy that they had a dark chocolate variant. 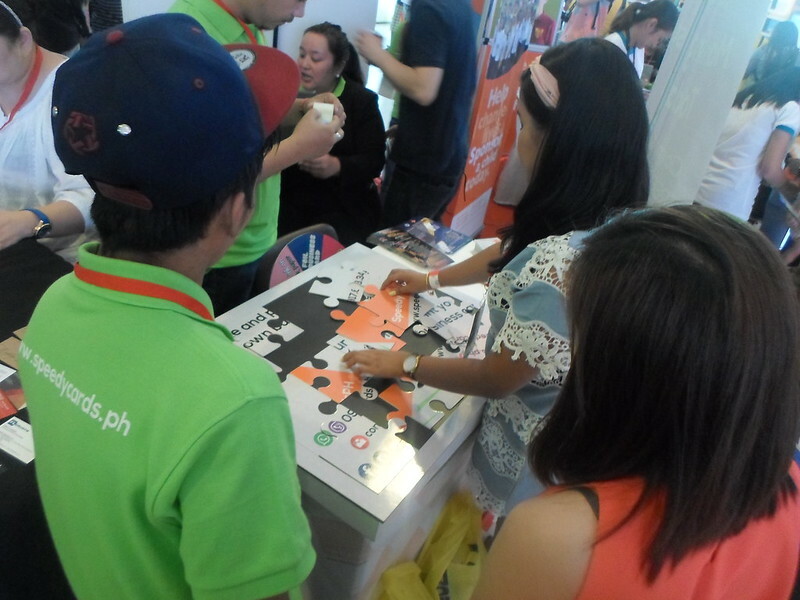 I particularly enjoyed the puzzle games from Victoria Court and SpeedycardsPH, super my forte! I was never the great one when it came to shooting-in-the-basket type of game. The Blue Water Day Spa also had a fun game of throwing hoops over rubber duckies! I won the 5 minute puzzle game from Victoria Court! It was nice also to talk to the representatives from Happy Fresh, World Vision, Mega Watt, and Etobee who really took the time to explain their services and products. 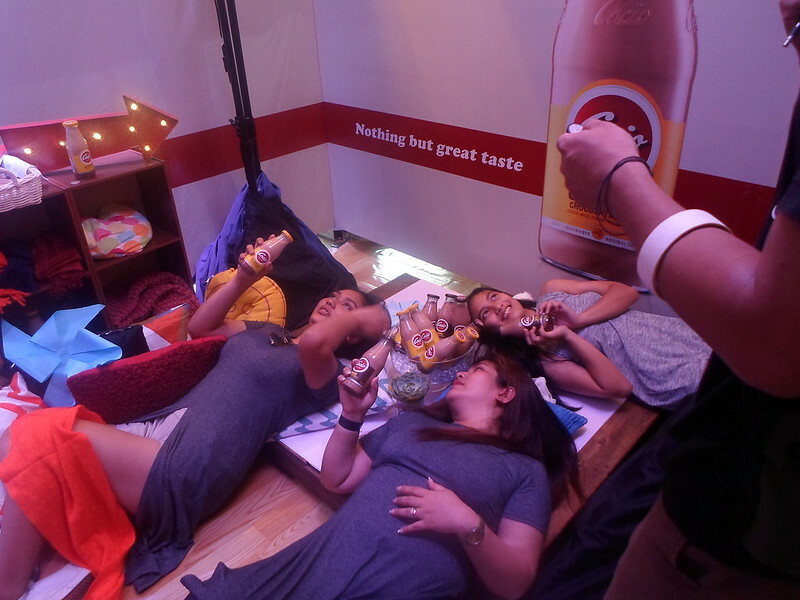 Bloggers also got the chance to sample free rice toppings with iced tea from Hotteok King, Pizza from Megawatt and Vita Coco quenched our thirst with their free helping of Coconut Water. 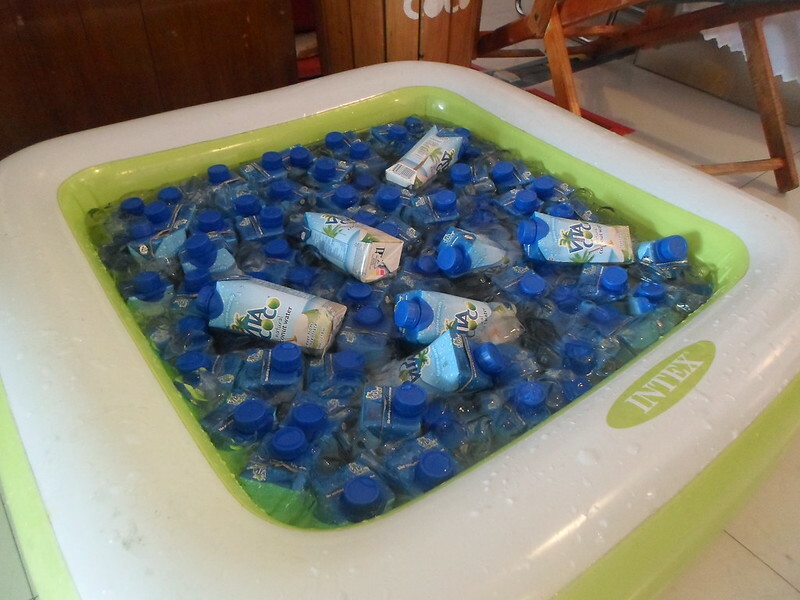 Refreshing Vita Coco Coconut Water! 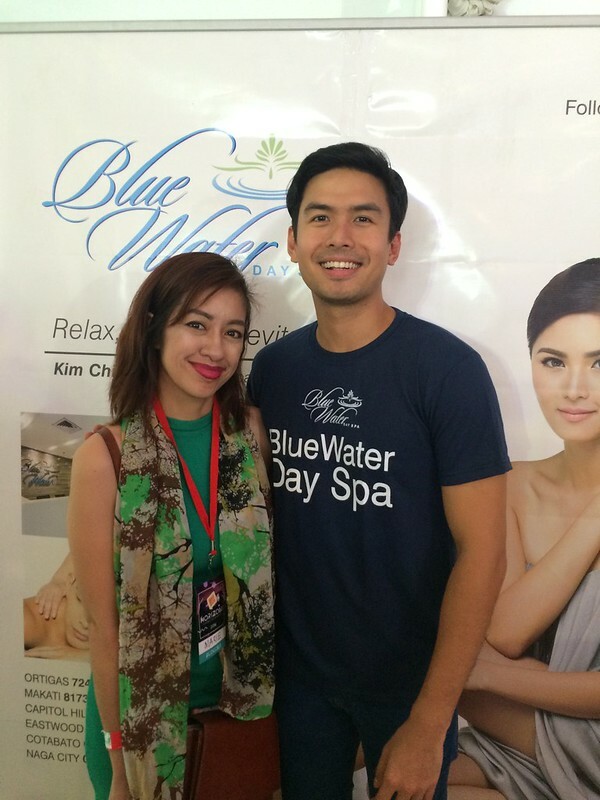 Before I left the event, I still was able to catch a photo op with Christian Bautista! 1. The Number of Booths. Some might say it was only a few, but I actually preferred it that way, it gave me more of a chance to take the time to go around, speak with the representatives and watch some of the talks. Not everyone can stay for the whole day. So it really was an advantage for the busy mommy blogger. I found it easier to make sure I was able to visit the booths since they were aligned neatly. No wondering "Did I already go there?". 2. Location. Absolutely perfect. Just next to Edsa, no need to catch a cab or get on several commute rides to get there. I also saw there was ample parking space. 4. Stage area & Chairs. There was enough seating space for those that wanted to take a quick rest and listen to the talks. I also have to say kudos to the host for making the event lively, I really loved how she spoke to the audience and walked around to talk to the representatives of the booths. 5. Brands. There were familiar ones and there were a lot of new brands. I love when there are new brands since you know that as a blogger, they will be looking for collaborations to promote their products and services. 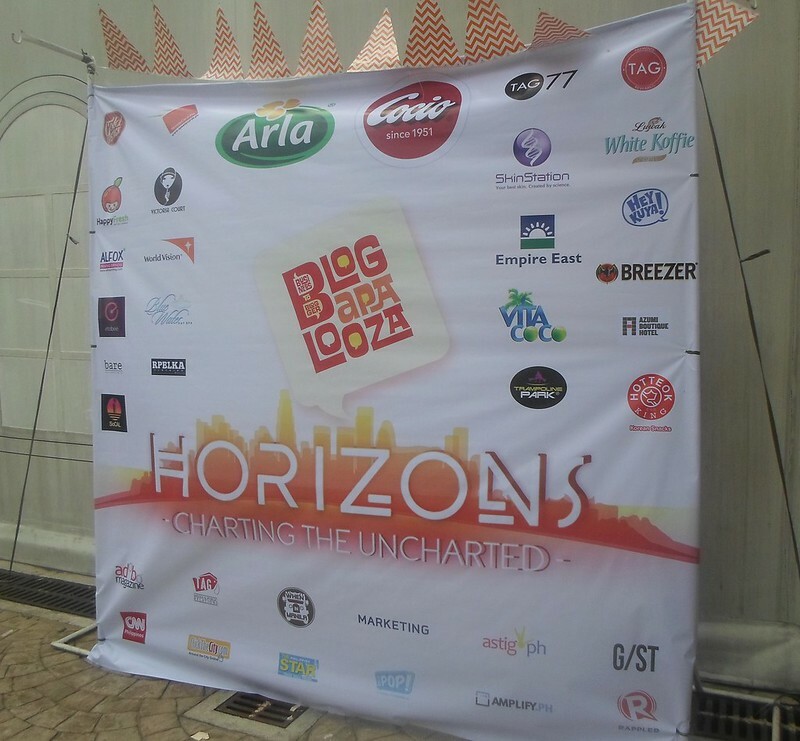 Overall, Blogapalooza and the team did a great job. I enjoyed the event a lot and I would always support Blogapalooza because my blog has definitely grown with the help of this Business-To-Blogger event. 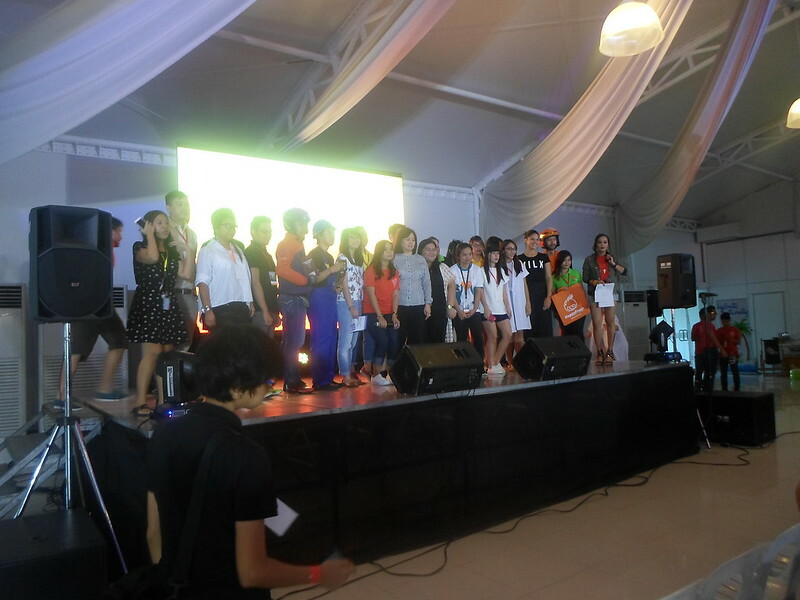 Thank you sponsors & to the Blogapalooza Team! If you are a blogger and want to join in the next Blogapalooza event, follow their Facebook page here. Also drop by their website here. Hi! Nice post! See you on next event! I was there too, although this year is a lot smaller with fewer sponsors compared to the one held at SM Aura, this year is alot better than last years. They are more organized this year. I actually enjoyed Blagapalooza 2016, i had more time really getting to know the product. I agree sis! I really liked how it was set up, hindi cya magulo and I got time to speak with the PR's. So true that fewer is better! I also did enjoyed and almost forgot to document the booths because I was enjoying myself on every games! Good job Blogapalooza! OMG! That was us on the flat lay challenge! Hahaha! Spent my Saturday there, too and though There were only few brands to visit, I also appreciated it. That way, i was able to try each brand and even join their games. It was a fun experience. 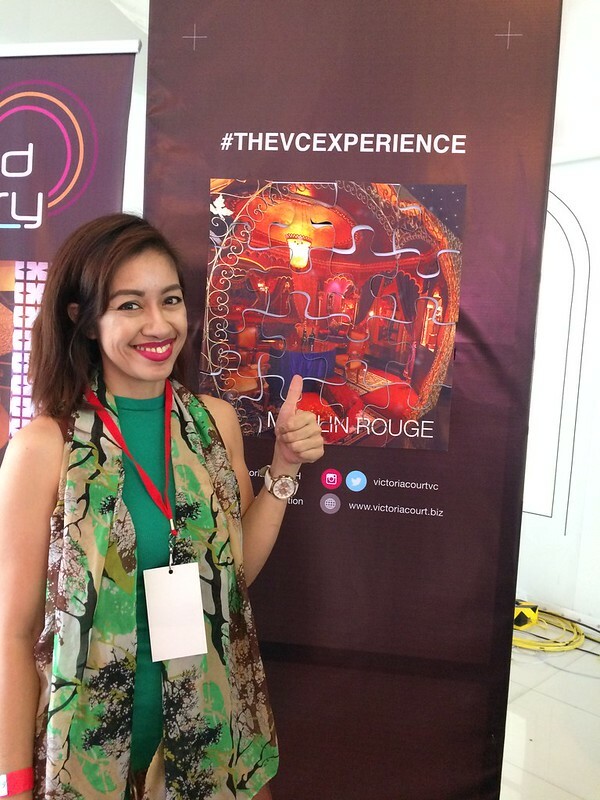 I was also in the event and it was my first blogapalooza event. It was nice meeting bloggers during the event. I also super enjoyed the games. May part 2 pa naman daw this year sis. Hehe. 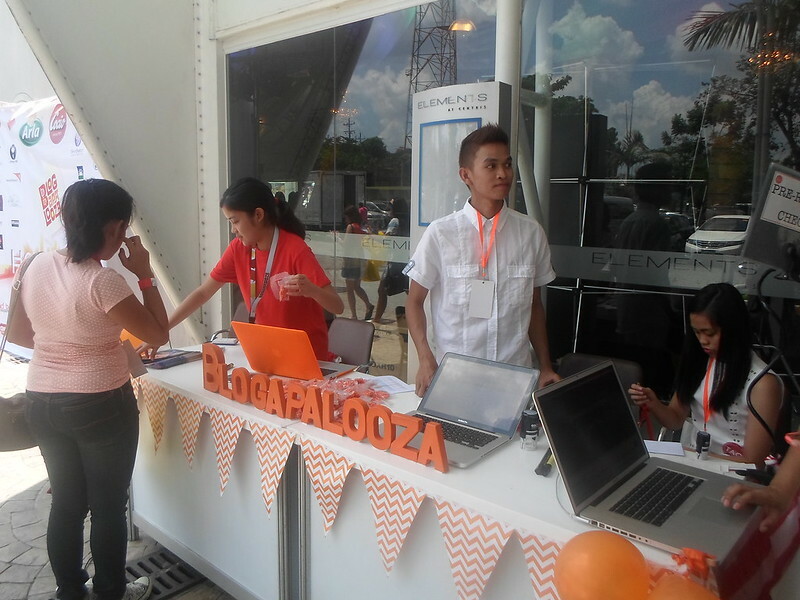 Huhu I've been wanting to join Blogapalooza since forever :( So jelly! I hope I can attend next time! Uu sis hope to see you there! I've been blogging for... I think more than 5 years now and I haven't been to Blogapalooza event. Congrats for winning on some games. Hope you get to join in the future sis. :) Thank you! Can you believe I haven't attended Blogapalooza?? maybe next year, then. I missed another Blogapalooza event, but it is good that they have moved to a much accessible venue now. I also agree that having less booths will enable each blogger to get to know the products and the brands better. Hopefully, I can join the fun next time! Hope to see you at one Blogapalooza sis! Wasn't able to attend this year because of a conflict schedule. Anyway, I am glad they placed some chairs na where people can rest yun kasi ang wala last year hehehe. Wasn't able to attend this year but it looks like it was fun! I'm interested in the Cocio drink! I love Arla Cheese Spread. I think we finished 2 bottles already. sayang was not able to attend this event,the last two years present ako.